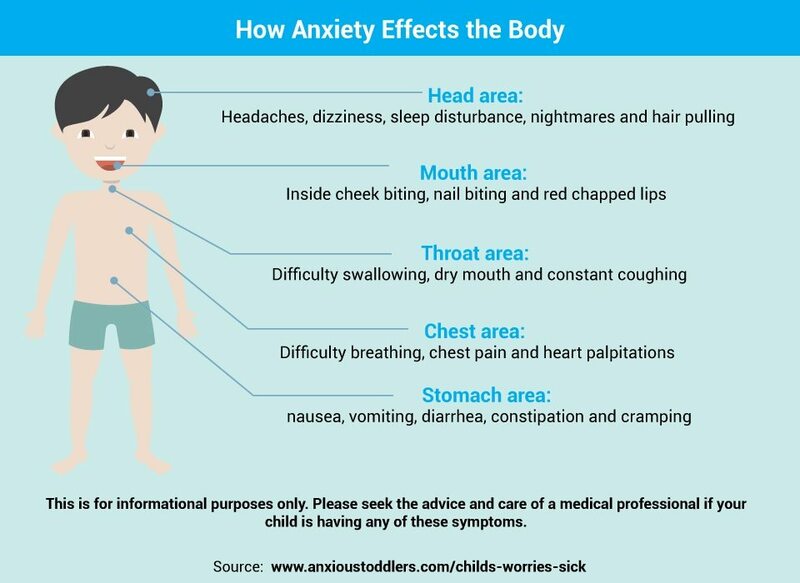 Anxiety has the ability to transform or immobilise a child. It can result in behaviours that are extremely difficult to manage, and even more difficult to understand. My 6 year old Son's anxiety at school resulted in him being physically isolated from the other children at school due to his frequent lashing out at others, and he has been 'moved on' from 2 schools in less than a year. So you can imagine how I felt when his new teacher said that he had settled in really well and was a completely different child from the one whose difficult behaviour was described in reports from his previous schools. After a year of at least one significant behavioural incident a week (usually involving kicking or biting), we have now gone more than 4 weeks without a single incident. He is playing on the playground with his peers and sitting with the others at lunch time. No more physical isolation from the other children. He now seems content to be around others, and has a chance to practice his social communication that he has been receiving support on. Who knows - he may even make a friend. He is completing most of his school work each week after previously having refused to pick up a pen on most days, though he does still try to negotiate how he goes about this. And the question of him having ADHD has disappeared, as he has shown that he is able to focus on his work when necessary. You could say that this overnight behavioural change is a miracle, however we know better. It is down to one thing - understanding and addressing his underlying anxiety! Over the past year we have experienced anxiety in many ways including meltdowns, refusing to take a taxi to school and challenges with eating out, and the day to day challenges associated with PDA. Each time we have been able to find a way to address the anxiety, and this has made a significant change to the behaviours that we have experienced. Anxiety is a normal part of children’s development, but children with autism spectrum disorder (ASD) can experience anxiety more intensely and more often than other children. So what have we learnt? Here are my thoughts based on our experience, and the advice we have been given. Realising anxiety is the likely cause of behaviours can be a game changer! It involves changing the way you parent and how you react to situations. This can be tricky, and potentially even hard to accept when someone first suggests it. The trick is being there to support and help your child deal with their anxiety - even if it means putting up with challenging behaviour. Miriam Gwynne wrote a great article about what it is like to parent a child with autism, her post really highlights how much understanding and patience is required when your child is battling with anxiety. Trying to identify anxiety triggers can be tricky, especially if your child is unable to express what they are anxious about. This can mean being a detective, and working it out by looking for common patterns of behaviours. It can also mean trying different things, to see what might work. ChildMind provides insights on how anxiety leads to disruptive behaviour. Once you have an understanding of anxiety and what your child's triggers are, it becomes much easier to spot when they are becoming anxious. This is turn allows you to act early, before things become an issue. Another key part is helping your child to recognise and talk about their emotions, so that they can work out when they are starting to get anxious. This can help them to do something before it becomes too much for them to handle. Young minds has a great overview of what anxiety feels like, that you can use to help explain what anxiety is. I also really liked this image from Anxious Toddler about the signs of anxiety. We also found that using a Feelings Thermometer really helped our Son to express how he was feeling on a 5-scale rating and what he should do when he is at each of the different levels. He is also learning that he needs to say when he is starting to feel Orange - this allows us / his teachers to act early to address the anxiety or remove him from the source of the anxiety so that we avoid a full on meltdown. This is still a work in progress, but he is getting there. Being able to recognise how they are feeling, and knowing what to do when they are starting to become anxious can make such a difference in managing anxiety levels. Over the past year we have had many recommendations from calming tents & chill-out zones, to controlled breathing and counting to 10. In the end we found that reading a story and lego building are really good at helping our Son de-stress and unwind. For some ideas, you can read about how interests can be used to calm down anxious children, along with Mindshift's tips for helping to de-escalate behaviours linked to anxiety. The story of Elliott really brought this home how much of a difference this can make - reading the post you can see his transformation from a trashed classroom to beautiful works of art as PDA strategies have been used to reduce his anxiety and he has found painting as way to calm down. We have found that it is best to be are aware of a potentially stressful situation, and to try and prepare for it ahead of time. We now think about potential anxiety - how to minimise it, and what we will do if things don't go to plan - as part of planning for everything that we do as a family. We will also talk through any new situations with our Son, and try to involve him in the planning process so that we minimise the potential of him reacting to something that he is not sure about. To understand more about what this can involve, read the post from The Little Feather who talks about how they planned for anxiety to ensure a successful holiday with her daughter. This has possibly been the hardest thing for us, I was so focused on needing to be there for my Son that I felt guilty to take time out for me. This meant that I didn't have the energy or patience to be there for my Son in the way that he needed. TalkSpace has 5 great tips for parents to manage your own stress. I also really enjoyed reading the Happiness project, which encouraged me to create my own Happiness projects. This has really helped me to reconnect with myself, which in turn has helped me become more resilient in facing the challenges of dealing with anxiety triggered behaviour. Young minds have a great selection of resources (for parents and children) to help with childhood anxiety, as well as a support line for parents who are concerned about their children. Other support organisations include Anxiety UK and Mind.